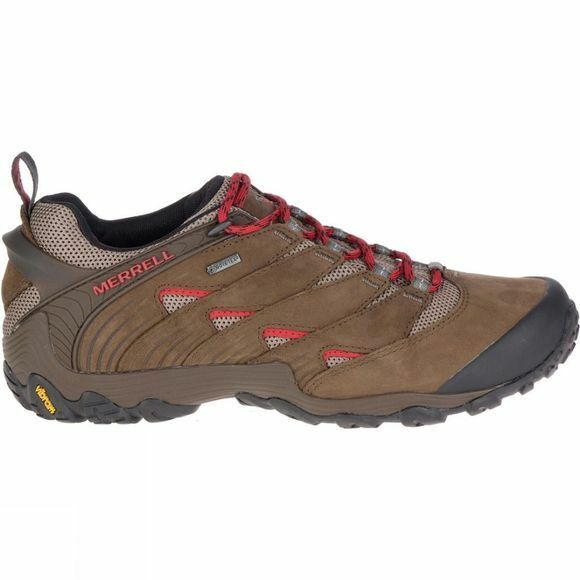 The Mens Chameleon 7 GTX Shoe from Merrel is as adaptable as the reptile it's inspired by. 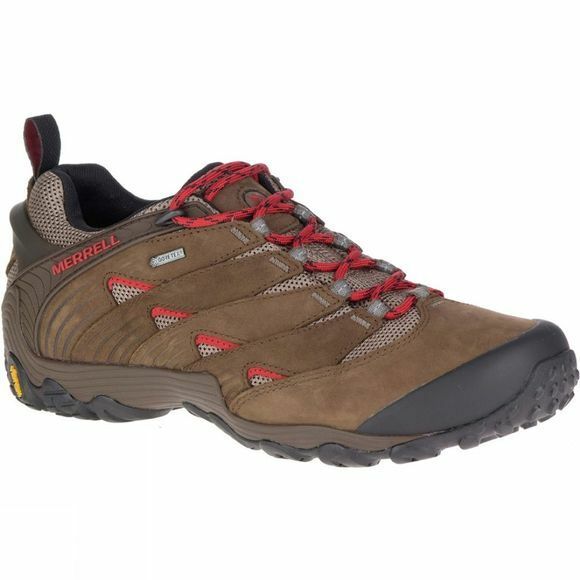 This Gore-Tex hiker features protection, stability, and ultra-lightweight construction. The Ultralight, Tuned Flexplate Technology brings a whole new level to hiking stability, by integrating a lightweight, full foot stability plate with strategically placed outsole pods to provide stability, underfoot protection, durability, and integrated grip. Variable material composition offers optimal rigidity at one end of the plate and optimal flexibility at the other. This reduces impact fatigue on feet and body while retaining its properties over time, and stands up to vigorous outdoor use.